In partnership with GIZ/FfS, a total of one hundred ten (110) schools in Maguindanao, Lanao del Sur and Tawi-Tawi are piloting Essential health Care Program through the institution of healthy lifestyles, such as proper handwashing with soap, toothbrushing and deworming. A moratorium was issued on creation of new schools, districts and divisions, while a study on current distribution is going on and in order to mitigate imbalance in access to education. The same monitoring team has been trained on geo-tagging to physically account all schools in the region. 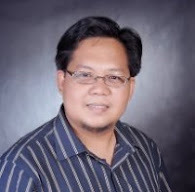 Another striking feature of DepEd-ARMM is the existence of “Ghost Teachers”. There are many kinds of ghost teachers. Some are listed in the payroll but are not rendering any service at all. Others falsely exist in the form of manufactured and fictitious names used mainly to exhaust the Personnel Services Fund of the department. Ghost teachers deny the fundamental rights of ARMM children to education. It breeds low morale among those who re-port to school and do their job religiously. Since ghost teachers are physically in-existent, school children are “schooled”, but not “educated”. Children may be going to school but not learning at all. The declining of education quality in the region was to a greater degree attributed to ghost teachers so when the new leader-ship of DepEd-ARMM assumed office, the priority reform measure was to bust the “ghosts” in DepEd-ARMM. In February, a task force to do verification and cleanse the payroll of fictitious personnel was organized. It was tagged Oplan LP (Operation Linis Payroll). The cleansing process involved data analyzing, comparing, cross-checking, and reconciling five different records in the department that ranges from 18,000 to 23,000 personnel against the form 7 submitted by the principals and school heads. In January when the new leadership assumed office of the DepEd-ARMM, 40 names miraculously disappeared or were delisted from the payroll. At the Regional and Division Offices, time monitoring systems using biometrics were installed to combat absenteeism and ghost employees. Foreseeing the rise in complaints against the personnel of the DepEd, we contextualized the Rules and Procedure on Administrative Cases and established and strengthened the department’s Legal Unit. Since its creation, it had already received 145 complaints. Presently, there are only 10 cases pending at the legal unit. Aside from entertaining complaints, it also implements decisions of other administrative agencies like the Civil Service Commission, COMELEC and the Office of the Ombudsman. 11 decisions of the CSC were implemented including the compulsory retirement of a Division Superintendent and dismissal of 8 teachers from service for serious dishonesty. In partnership with DepEd CO and SEAMEO-INNOTECH, a total of thirty-one (31) district supervisors/in-charge are currently enrolled in the DSLP. This was conducted at the SEAMEO INNOTECH Training Center in Diliman, Quezon City to gave them the hands -on experience to implement on the ground what they have learned, and institute some reforms based on their district and school needs and priorities. They were also exposed to information technology as they were trained through on-line mentoring. The 31 districts represented by these completers are being considered for piloting for the new programs and interventions. A total of two thousand one hundred forty-four (2,144) volunteer teachers have been deployed for School year 2012-2013. Volunteer Kindergarten Teachers in 2011 were given their honoraria this year. To validate all PRC and CSC licenses and strengthen eligibility validation prior to awarding of plantilla/appointment. In November, as requested by the Regional Secretary, an audit of the PDS of all Schools Division Superintendents was conducted by CSC. BOI had certified that 54 school health personnel from the Province of Lanao Sur had overseas travel records. It was observed that retirees following through on their terminal leave claims at the Regional Office are left to wait for hours waiting. We have reserved an air-conditioned room where they can wait and sit comfortably as their papers are being processed, with light snacks and coffee provided as well, as a simple gesture of appreciation to their decades long service to the public. Instituted merit-based selection and promotion and work with CSC on QS for ARMM. 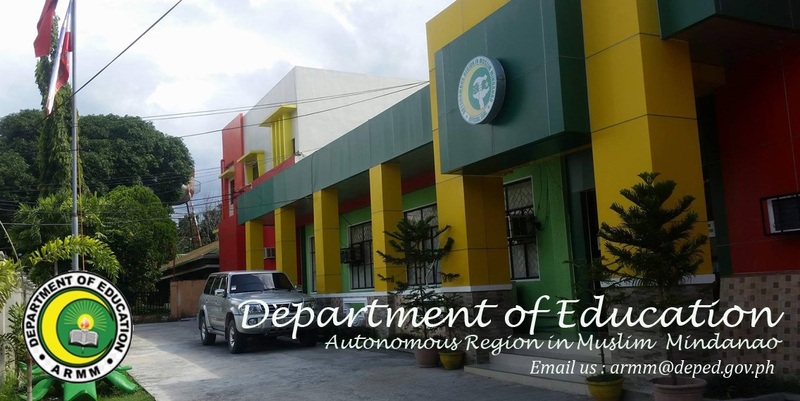 Through Transparent and Merit Promotion, DepEd-ARMM has worked with the Office of the Regional Governor in calibrating the composition and processes of the regional and division selection and promotion boards. This was followed by an issuance of Administrative Order. The PSIPOP is being updated following the DBM observations on anomalies, i.e. double and ghost entries; and on-going close supervision of personnel in-charge of plantilla and personnel actions. Newly recruited teachers are inducted to DepEd-ARMM system properly. The first batch of newly-recruited teachers under the current administration attended an induction program to familiarize them about DepEd, Civil Service, GSIS, Pag-IBIG and PhilHealth rules and regulations. This is the first time in the history of ARMM. The 2nd batch of the TIP will be held in December. For the first time in the 22-year history of DepEd-ARMM, a process of recognizing outstanding teachers was undertaken which coincided with the World Teachers’ Day celebration. The first Most Outstanding Teacher of the region was recognized and awarded. Are continuously undertaken to check on personnel, enrollment data, classroom facilities, and assessment of buildings.